Last night Madrid’s Salamanca district and Fuencarral Street looked more like fashion runways than shopping districts. Over 300 participating shops were a buzz with high-heeled clad fashionistas, manicured men, DJs and lots of fun shopping promotions. 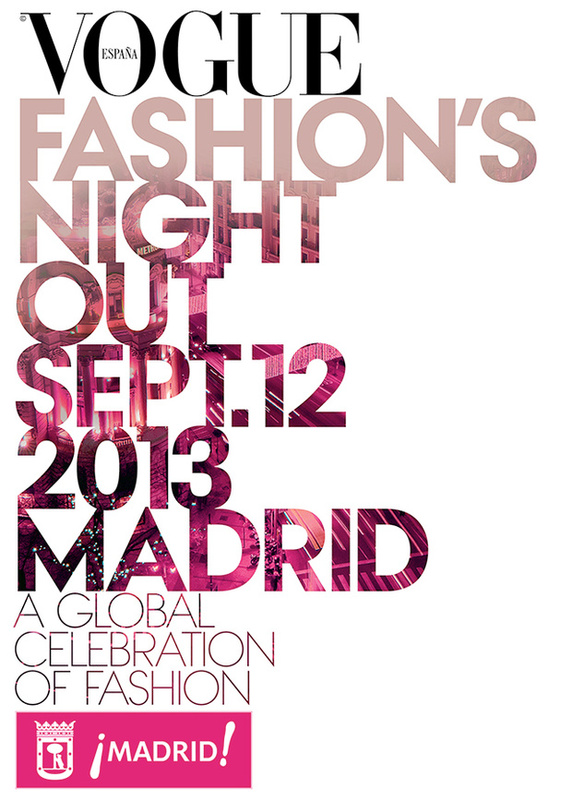 Madrid Vogue’s annual Fashion’s Night Out (VFNO) marked another successful event in the name of fashion. What’s the deal with VFNO? Started in 2009 in New York, FNO began as a global initiative, sponsored by Vogue, to encourage consumers to shop and support the fashion industry during these tough economic times. It consists of shops extending their hours and offering special offers, giveaways, parties, fashion celebrity appearances and other glamorous surprises. 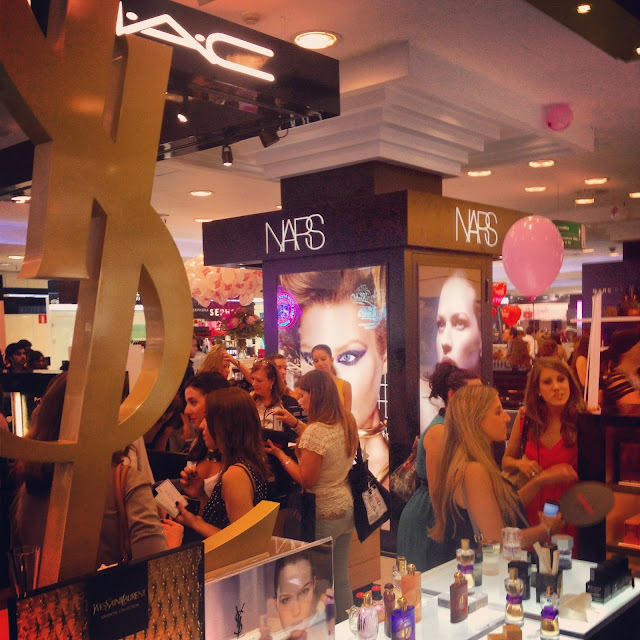 Now with five years under its belt, VFNO can boast presence in 27 US cities and 18 countries worldwide. With a layer of hot pink gloss on my lips, I joined in on the festivities with expectations higher than my heels and was more than pleased with the new collection reveals, cocktails and impressive street style. Among my various shopping experiences of the night, Bvlgari was the most noteworthy for their customer service and allowing us to try on jewelry from their new Diva Collection. My friends Holly (left) and Heather (right) channeling Elizabeth Taylor through the Diva Collection.